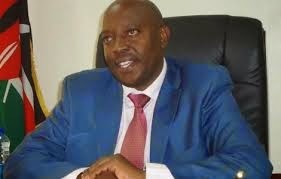 Machakos county deputy governor Benard Kiala has set up a team to propel him to the position of governor. Kiala’s team includes among others Frank Mutiso a one-time Yatta parliamentary loser and Francis Maliti who is also Machakos county water executive officer. The team also includes businessmen who Kiala has allegedly been awarding county contracts. It is said Kiala’s team is funded by Kalonzo Musyoka through Machakos county senator Johnson Muthama. Kalonzo recently met a section of Machakos county MCAs mostly the nominated to urge them to support Kiala in his impeachment war. As this is happening, it is said there is a plan to host 1,200 delegates from Ukambani to get the community out of Raila Odinga grip where they claim Muthama drove them to after being paid handsomely by Raila. Those organising the meeting reportedly feel it shameful to see Kalonzo and Muthama wearing caps bearing RAO initials (Raila Amollo Odinga) meaning they lack their own political plan other than Raila. They also cite the fact that during Raila’s return from United States, Kalonzo was calling Raila, Baba thus lowering himself to the level of the very Raila goons who one time heckled him at Uhuru Park and Khadija Grounds in Mombasa as they shouted Baba!.